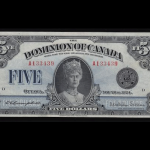 The Toronto Coin Expo, Canada’s premier coin & banknote show, is on tap at the Toronto Reference Library. Geoffrey Bell Auctions is once again official auctioneer showcasing an outstanding array of decimal coins, medals, paper money and tokens. This sale features Part II of the Covered Bridge Collection, with fresh rarities that are coming out of storage for the first time in numerous years. Trophy notes from many chartered banks, complimented by a choice French series $50, 1935 will garner a frenzy of bidding. The fur trade industry and the Hudson’s Bay Company have been a most important part of Canada’s history. 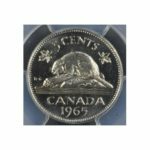 In celebration of Canada’s 150th birthday, a major piece of Canada’s history is being offered with a large collection Hudson’s Bay and other fur related tokens. 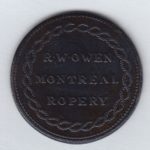 Other selections from numerous consignors round out another outstanding auction including a nice West Coast variety collection, a rarely offered selection of named Governor General medals and finally the second-to-last offering of the Richard Cooper Collection. Much anticipation surrounds these collections as individuals are planning on attending the sale from all over North America in hopes of an opportunity in obtaining a piece of this historic event. Geoffrey Bell Auctions is privileged to be given the opportunity to be entrusted with such treasures and thank all their contributors who have put their faith in them. “It is not common to see a cheque over 327 years old. 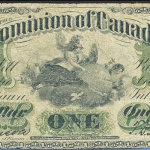 It is certainly not common to see a cheque connected to the Hudson’s Bay Company of that age. And to think it has a Canadian connection. Geoffrey Bell Auctions is proud to feature such a document. 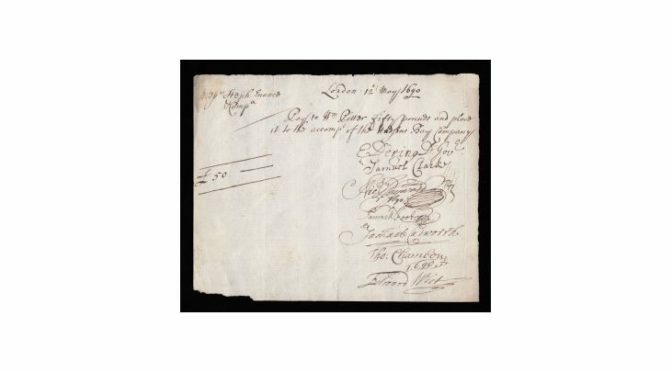 This note (cheque) is dated 1690 and was a note of one of the Company’s bankers, Stephen Evans (Evance). He was elected a Governor of the HBC in 1692. The note is endorsed by its guarantors, all shareholders in the HBC. The signatories are E. Dering, Dep. Gov, HBC, Samuel Clarke, Dep Gov, elected in 1692 to succeed Sir Edward Dering, A.Hayward?, Samuel Foote, Samuel Cudworth, member of the Committee, HBC, Thomas Chambers, and Edward West. It is interesting that Chambers led a movement against the Committee, particularly the Deputy Governor Dering. In June 1690, the HBC decided to sell off some of its fur inventory at what Chambers believed to be advantageous prices to a Thomas Glover. Chambers offered 200 pounds more but was refused by the Committee. Chambers accused the Committee and Dering of improper handling of the sale but his accusation was rejected. Chambers was then deprived of his Committee member payments that prevented sale of his stock. In 1692, Chambers recovered control of his stock but his relationship with the Company ended. Edward West was the HBC’s warehouse keeper who soon was to be promoted to Committee man. All lots in this catalog are available for online browsing with photos and descriptions. Absentee bidding is currently open in the online catalog. The auction days are Thursday September 28th and and Friday September 29th, 2017. Both sessions open for live bidding at 6PM Eastern Time. 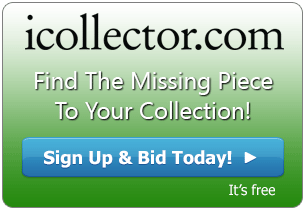 Geoffrey Bell Auctions and iCollector.com are excited to bring this auction to a worldwide audience, and will answer any questions from bidders about the pieces up for auction or how to get involved.